Had to reblog this post from Jan of Faux Press. Hugh Macleod rules. 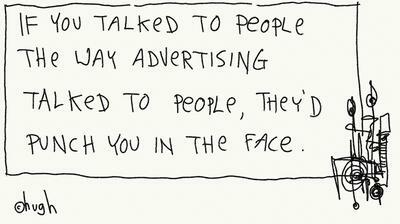 This is what advertisers don't yet understand - but will - or they will cease to exist. News outlets should come to understand this concept, too. Talk down to your audience at your own risk. Raise the barre or die.